This stylish three double and one single bedroom home has a spacious open plan design perfectly designed to maximise space with indoor/outdoor flow to the North facing easy care section that is fully landscaped. Would suit a range of people and lifestyles, or is a perfect first home. All of the bedrooms are well appointed, with a separate family bathroom and ensuite. The home has been finished to a high standard with quality fixtures and fittings throughout. It offers an internal access double garage and has all driveways and fencing included in the sale price. 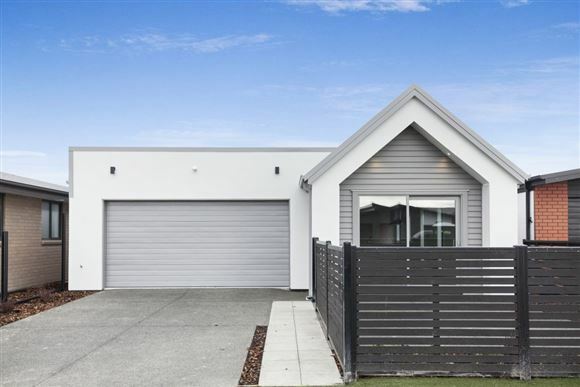 Beach Grove is only 900 metres from the heart of Kaiapoi, and is also in close proximity to a range of outdoor pursuits such as fishing, cycling, white baiting, swimming, kayaking, rowing, walking and golfing. Sections and homes in Beach Grove represent exceptional value in such a convenient location with Christchurch city only a short commute away.